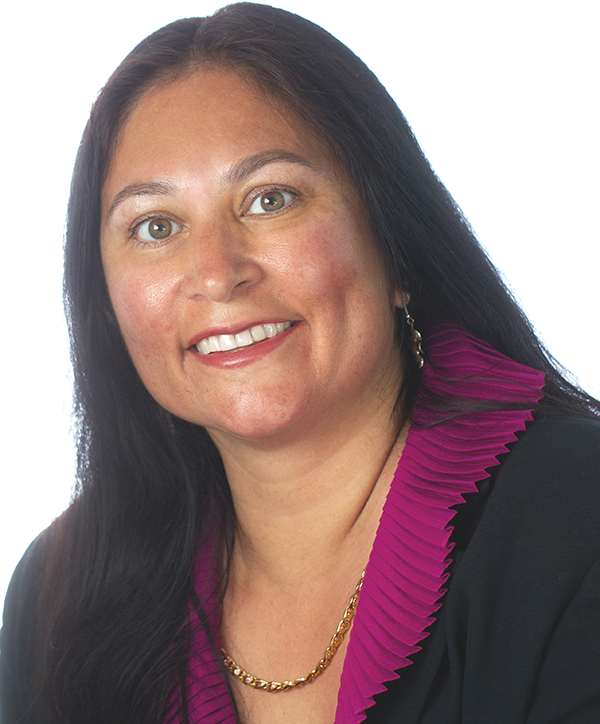 Brenda Aguilar-Guerrero chairs Meyers Nave’s statewide Eminent Domain and Inverse Condemnation Practice Group and has been representing public entities on complex eminent domain and inverse condemnation matters for more than 25 years. She has assisted clients with large, complex multibillion-dollar transportation projects requiring hundreds of acquisitions, as well as smaller scale projects throughout the state for a variety of clients. Brenda likes to get involved at the initiation of a project to ensure that her clients are following all state and federal regulations and laws. She attends project meetings, obtains rights of entry, drafts and/or reviews acquisition documents, works with consultants/clients to execute acquisition strategies, reviews appraisals for legal compliance, and negotiates with property owners; assists in drafting staff reports, resolutions of necessity and notices to property owners; prepares complaints and all documents required to file the condemnation action(s); obtains orders for prejudgment possession; and handles all litigation through the filing and recording of Final Orders of Condemnation. Brenda has served as lead counsel on right-to-take and jury trials for a number of clients. She has also defended clients sued for inverse condemnation, dangerous condition of public property, and nuisance claims. She has handled eminent domain and/or inverse condemnation actions for the Santa Clara Valley Transportation Authority, Council of San Benito County Governments, Bay Area Rapid Transit District, San Mateo County Transit District, Transportation Agency of Monterey County, County of El Dorado, County of San Benito, Town of Los Altos, City of Dublin, City of San Leandro, City of Rancho Cordova, East Bay Regional Park District, Fremont Redevelopment Agency, City of Fremont, City of Elk Grove, County of Fresno, County of Napa, Napa County Flood Control and Water Conservation District, City of Brentwood, Hayward Unified School District, City of Antioch, and City of Saratoga. Prior to joining Meyers Nave in 2010, Brenda was the managing partner of Erickson, Beasley and Hewitt for six of her 15 years with the firm. While at EB&H, Brenda specialized in representing public entities in a variety of cases including complex eminent domain and inverse condemnation, governmental tort liability, employment, and civil rights actions. She also represented private owners in inverse condemnation actions and successfully litigated on behalf of plaintiffs in high-profile discrimination actions as well as predatory lending actions. Brenda’s client, the Transportation Agency for Monterey County (“TAMC”), is constructing a new commuter rail project to extend passenger rail service from Santa Clara County to Salinas. TAMC acquired most of the property interests required for this Project but was unable to settle as to an industrial property where TAMC sought to acquire 2,156 square feet from one of the warehouses located thereon. Prior to trial, the landowner’s final demand to settle was $1,900,000 and TAMC’s final offer to settle was $1,100,000. At trial, the landowner asked the jury to return a verdict in the sum of $2,200,000. TAMC asked the jury to return a verdict in the sum of $800,000. The jury verdict was $1,271,217.00, which was $928,783 below the landowner’s appraised value and $727,783 below the landowner’s final settlement demand. Because the jury’s verdict was much closer to Brenda’s final offer (only $171,217 over) than the landowner’s final demand, Brenda also saved TAMC from the possibility of the judge ordering TAMC to not only pay for the fair market value of the property (as determined by the jury), but also pay for all of the landowner’s attorneys’ fees and other litigation expenses. It is important to note that the landowner’s number at the beginning of trial was $2,580,223. During trial as a result of motions in limine and a motion to strike at the end of their case, their number was reduced to $2,240,000. The court would make its determination of fees based on $2,580,223. In another win for her client, the landowner was also ordered to return $728,340 of the deposit that the judge required TAMC to pay early in the case. The judge had ordered TAMC to increase its deposit (which the landowner can withdraw) from $780,000 (TAMC’s appraised value early in the case) to $1,999,000. The judge made this order believing that TAMC should (as requested by the landowner) pay to expand the warehouse building to a much larger size than what it was before TAMC acquired a small portion of it. TAMC believed that the building could simply be re-surfaced (at TAMC’s expense) because, even though it would be a little smaller, it still had more than ample space to continue the same warehouse operations as before. Because the judge made this ruling “without prejudice,” Brenda was allowed to argue to the jury that taxpayers should not be forced to pay for a large expansion of the warehouse. In a rare occurrence in eminent domain trials, or any trial, Brenda successfully convinced the jury to rule differently than what the judge had ruled. More than 30 plaintiffs brought separate actions against the City of Palmdale involving inverse condemnation, nuisance, negligence, and trespass claims as a result of a massive 2015 rain storm that caused substantial flash flooding and debris flow. With a “return frequency” at 1000 years, the storm overwhelmed the City’s public improvements. Brenda served as lead counsel on the cases from the pre‐claim period including undertaking an exhaustive search to find hydrology and flood plain experts to analyze the storm, through successful resolution: (1) negotiated the dismissal of Palmdale from the Simmons action within a few months of the filing of the action, (2) won a dispositive motion in the Faulk case for judgment based on establishing that the epic storm was an intervening factor that broke the causal chain for liability, and (3) negotiating a settlement of the remaining Dunagan/Celebron plaintiffs, which was paid by the pooling entity with a minimal contribution from the City of Palmdale. Brenda successfully argued a summary judgment motion that resulted in the dismissal of numerous plaintiffs. The motion served as the catalyst to get the remaining cases settled at substantially less than it would have cost the City to prepare summary judgment motions in those cases. Brenda successfully represented the City of Sacramento in defeating the last legal challenge to the new $477 million entertainment and sports arena in downtown Sacramento that serves as the home for the Sacramento Kings NBA team. After an 11-day trial with 18 witnesses, more than 150 exhibits and the presentation of an administrative record, Sacramento Superior Court Judge Tim Frawley issued a proposed Statement of Decision finding that “plaintiffs have failed to meet their burden of proof on any of their causes of action” and awarded the recovery of defense costs. Opponents settled their case for dismissal of all claims with prejudice in exchange for a waiver of costs. In an attempt to overturn the City’s approval of the arena, opponents had alleged that the public-private partnership supporting the arena engaged in a “secret subsidy,” collusion, fraud, concealment, waste and illegal expenditure of public funds, along with alleged illegalities in the City’s $325 million in bond financing. The case also addressed unadjudicated law as plaintiffs’ reverse validation claim challenged the City’s finding that there were “significant public benefits” from issuing bonds under the Marks-Roos Local Bond Pooling Act of 1985. Prior to Gonzalez v. Johnson, there was little judicial guidance for cities in their issuance of bonds under the Act. The Daily Journal selected the victory in Gonzalez v. Johnson as a “Top Defense Result” in its special report of the Top Verdicts for 2015. In a case raising complex questions on valuation of “improvements pertaining to the realty,” as well as unique relocation and goodwill issues, Brenda overcame the bloated appraisals from a business owner, saving the transit district over $4 million. A medical device sterilization business, represented by Norm Matteonni and Peggy O’Laughlin, sought $9.85 million in eminent domain just compensation from BART. As a result of motions in limine, that amount was reduced to $9.4 million. The jury awarded the business only $5.4 million, forcing it to return $400,000 to BART from the agency’s pretrial deposit—a rare occurrence in eminent domain disputes. Brenda serves as counsel on numerous eminent domain matters filed by VTA to acquire property for a 10-mile extension of the BART system to the Silicon Valley. The acquisitions range from full takes of multi-acre industrial parks containing numerous multitenant masonry buildings requiring complicated relocations of numerous business tenants, to complex acquisitions involving highest and best use and project influence issues. Brenda drafted purchase and sale agreements including one for a property valued at $26 million, drafted license agreements, and obtained orders for possession. She also assisted with complicated relocation, valuation and improvements to the realty issues. Brenda was also successful in having the Business Owner accept her final offer, after the jury was empanelled, that was hundreds of thousands of dollars below the Business Owner’s trial testimony. (VTA v. RK Logistics (2013)). Brenda was part of the trial team that prevailed at a trial involving 10 separate right-to-take challenges. The challenges were raised in a condemnation action brought to acquire property owned by a shopping center for the construction of the Capitol Expressway Light Rail Project. In Santa Clara Valley Transportation Authority v. Eastridge Shopping Center, LLC (Case No. 1-11-CV- 209524), judgment was entered in favor of VTA on all ten challenges including CEQA objections raised by Eastridge’s counsel (Gibson Dunn), Macy’s West Stores’ counsel (Matteonni O’Laughlin & Hechtman), J.C. Penney’s counsel (Turner & Turner Law) and Sears’ counsel (SNR Denton). After the complaints and motions for prejudgment possession had been filed by in-house counsel to respond to the numerous oppositions filed by several large developers, Google, a water district, and a City, Brenda’s team was successful in getting stipulated orders for possession and reaching early settlements with all the property owners. Five actions were filed to acquire various property interests needed for this project to relieve traffic congestion by constructing auxiliary lanes and extending high occupancy vehicle (HOV) lanes on Highway 101 between State Route 85 in Mountain View and Embarcadero Road in Palo Alto. The settlements required coordination with the various property owners and Caltrans, as well as implementation of creative strategies. Brenda is presently assisting TAMC with a 16-mile commuter rail extension project. She filed 10 eminent domain actions and has settled 7 of those actions. She advised TAMC through the pre-condemnation phase, assisting with valuation, relocation, project coordination, and appraisal issues. She also assisted TAMC with numerous hardship acquisitions. Brenda assisted COG with all aspects of the right-of-way process, acquisitions and condemnations for the Highway 25 Bypass Project. A total of 44 property acquisitions were required for the project. Two properties were acquired in their entirety as full fee takes; one business was relocated; one household was relocated; and one rental tenant was relocated. The remaining properties were acquired as partial fee takes, in addition to the acquisition of public utility easements and temporary construction easements. Brenda assisted COG staff and consultants in preparing initial offers, staff reports, resolutions of necessity, and an amendment to their joint powers agreement, as well as in negotiating settlements. Sixteen cases were filed. Most involved complex legal and valuation issues relating to severance damages, highest and best use, development potential, dedication requirements, zones of value, and benefits. Four cases are described below. Council of San Benito County Governments v. Hollister Inn, (2012) 209 Cal.App.4th 473. The property owner, Hollister Inn, who owned and operated a Best Western Hotel in the City of Hollister near the intersection of Highways 25 and 156, objected to the taking of its access easement across another property owner’s property which provided the hotel direct access to Highway 25, which it alleged was its main entrance. At the right-to-take trial, the court found that COG committed a gross abuse of discretion by failing “to consider the possibility of taking the property of an adjoining landowner to provide Hollister Inn access to Highway 25” pursuant to section 1240.350. The trial court further found that COG “failed to exercise its discretion to determine whether the project was planned or located in the manner that will be most compatible with the greatest public good and the least private injury.”After COG complied with the conditional dismissal, Hollister Inn accepted COG’s final offer, and COG appealed. The Court of Appeal reversed the trial court and vacated the award of attorney’s fees and costs. It found that the trial court erred in issuing an order of conditional dismissal against COG and in awarding reasonable litigation expenses to Hollister Inn. It also found that section 1240.350 does not authorize a public entity to condemn land to provide access to other private property when that property is cut off from access to a particular public access but is not landlocked. Council of San Benito County Governments v. Roberts et al., San Benito Superior Court, Case No. CU-06-00050. This case involved a full take of two adjacent parcels with a total area of 2.76 acres. One of the parcels was partially improved for use as a trailer sales and repair facility. Portions of both parcels were taken as uneconomic remnants. The case was bifurcated after the tenant disclaimed any and all rights to compensation for its leasehold interest in the property. The property owner made an initial demand of $3,606,780, supported by a summary statement of his trial appraiser. COG deposited $1,052,000 as just compensation. The case settled for $1,562,938 on the eve of trial. The court granted judgment for COG as to the tenant’s claim for loss of goodwill; the tenant was seeking a six-figure settlement. Council of San Benito County Governments v. K&S Market, et al., San Benito Superior Court, Case No. CU-06-00047. This case involved a partial take of two adjacent parcels totaling 5.271 acres. The land was improved with a Safeway Food and Drug Store and a Safeway Service Station. As a result of one of the fee takes, Safeway lost 28 parking spaces. It was undisputed that the Safeway parking was already at a minimum. After negotiations with Caltrans and the owners/tenants, Brenda negotiated a settlement in which Caltrans agreed to allow COG to provide an excess parcel to the defendants for conversion into a parking lot for the store. This creative settlement resulted in great savings for all parties, especially COG. Council of San Benito County Governments v. McNamee, et. al., San Benito Superior Court, Case No. CU -06-00048. This case involved a partial take of 1,494 square feet that eliminated 175.01 feet of the parcel’s frontage on San Felipe Road. The defendants sought substantial severance damages. Brenda argued at trial that defendants were not entitled to any severance damages because they could not show a “substantial impairment of access to their remainder parcel.” The trial court agreed and the Court of Appeals for the Sixth Appellate District affirmed. Brenda represented San Mateo County Transit (SamTrans) and BART on various cases related to BART’s extension to the San Francisco International Airport. Two cases are described below. San Mateo County Transit District v. City and County of San Francisco, et al., San Mateo County Superior Court, Case No. 405695. Brenda represented SamTrans in this action involving 50 separate parcels of property over approximately 8 miles of the former San Francisco Market Street Railway right-of-way. This case presented numerous challenging appraisal issues regarding full and partial takings, temporary construction and subterranean utility easements located on both residential and commercial property, as well as loss of goodwill. Favorable settlements were negotiated with 58 of the 59 named defendants. One defendant business tenant refused to settle and Brenda obtained summary judgment by establishing its lack of entitlement to loss of goodwill. On appeal, the summary judgment was affirmed. San Mateo County Transit District v. Tanforan Park Shopping Center, et. al., San Mateo County Superior Court, Case No. 407836. Brenda represented SamTrans to acquire land for the construction of the San Bruno BART Station. The subject fee acquisition consisted of 5 acres of land that had been designated as parking for a shopping center. Permanent underground utility and temporary construction easements affecting approximately 8,800 square feet were also condemned. The case presented complex valuation issues related to severance damages, including entitlement, highest and best use, development potential, parking usage, and benefits. Significant goodwill loss claims also were asserted. As part of the eight-week jury trial, Brenda tried the goodwill issues. The jury returned a verdict of $0 for national retailer Sears on its goodwill claim. Brenda defended BART in an inverse condemnation action brought by over 100 plaintiffs living near the BART extension from Concord to the North Concord Station. The case consisted of three consolidated actions brought by homeowners and residents who claimed physical damage and personal injuries allegedly suffered during the period of construction and operation.Thirteen separate causes of action were alleged. Brenda negotiated a very favorable settlement for BART that included payment on only some of the construction related claims. Judgment was entered in favor of BART on all other claims.